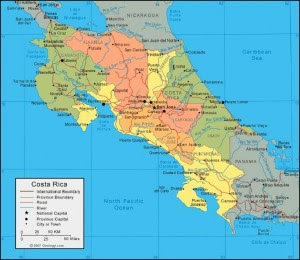 Costa Rica Castle: Curious about Rainy Season in Guanacaste? Curious about Rainy Season in Guanacaste? Here's a classic video I made after one of the craziest rainy seasons in years that flooded the estuary and almost took the Wunderbar (the beach bar) with it! Rainy season generally starts in May and then takes a break around mid-June for the "small summer" which is perfect weather, no people and just a little rain. It picks up again in October with big storms sometimes causing mudslides, washed out bridges and flooded streets. Stay tuned for some amazing video I have from inside a friend's house that was literally in the middle of a flooding river. Rainy season is a beautiful, misunderstood time of the year and a must see for anyone that loves Costa Rica. p.s. Be sure you have a good roof! !